On May 22, 2017, The Wall Street Journal ran an article about the legal profession’s enduring problem: psychological distress. For decades, attorneys have led most occupations in the incidence of serious psychological afflictions — depression, substance abuse, even suicide. Now some law firms are “tackling a taboo,” namely, the mental health problems of their lawyers. Stated differently, law firms are following the unfortunate path that has become a dominant approach in the medical profession: treating symptoms rather than the disease. Perhaps that’s because law firm leaders know that curing it would cut into their personal annual incomes. Other workers have serious psychological challenges, too. But attorneys seem to suffer in disproportionately high numbers. 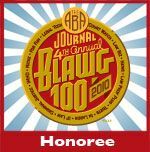 The Journal article cites a 2016 study of US lawyers finding that 20.6 percent of those surveyed were heavy drinkers (compared to 15.4 percent for members of the American College of Surgeons). Likewise, 28 percent experienced symptoms of depression (compared with eight percent or less for the general population). According to a 2012 CDC study cited in the Journal, attorneys have the 11th-highest suicide rate. Now add one more data point. According to an ABA survey in 2007, lawyers in big firms are the least satisfied with their jobs. Anyone familiar with the prevailing big firm environment knows that it has deteriorated dramatically since 1985. What has changed? For starters, just getting a job at a big law firm is more difficult. Corporate clients have found cost-effective alternatives to young attorneys billing $300 an hour to review documents. At many firms, demand remains soft. But the real psychological problems begin after a new associate enters the door. For most of them, promotion to equity partner has become a pipe dream. In 1985, 36 percent of all lawyers in The American Lawyer’s first survey of the nation’s fifty largest firms were equity partners. In 2016, the comparable number was under 22 percent. More than 40 percent of all AmLaw 100 partners are now non-equity partners. The leverage ratio of equity partners to all attorneys has doubled. Stated another way, it’s twice as difficult to become an equity partner today as it was in 1985. That’s what’s been happening at the financial pinnacle of the profession. There is nothing inevitable about the underlying business model that produces these outcomes. It’s a choice. In 1985, average profits per partner for the Am Law 50 was $300,000 — or about $700,000 in 2017 dollars. Today’s it’s $1.7 million. And the gap within most equity partnerships reflects their eat-what-you-kill culture. Instead of 3-to-1 in 1985, the ratio of highest-to-lowest partner compensation within equity partnerships often exceeds 10-to-1. As the rich have become richer, annual equity partner earnings of many millions of dollars has become commonplace. At what cost? The future. As law firm leaders rely upon short-term metrics — billings, billable hours, and leverage ratios — they’re pulling up the ladder on the next generation. Too many associates; too few equity slots. Let the contest begin! But rather than revisit the wisdom of the model, some big firm leaders have made what the Journal characterizes as a daring move: bring in a psychologist. It’s better than nothing, but it’s a far cry from dealing with the core problem that starts with the billable hour, moves through metrics that managers use to maximize short-run partner profits, and ends in predictable psychological distress — even for the so-called winners. The Journal notes that a psychologist at one firm was offering this sad advice to its attorneys: Take a cellphone reprieve by turning off all electronic devices between 2:00 am and 6:00 am. For some firm leaders, “then” is still “now.” And that’s truly crazy. Into the teeth of the student loan crisis walked Trump’s Secretary of Education Betsy DeVos. She’s already making it worse. The problem goes far beyond DeVos’ embarrassing ignorance on display at her confirmation hearing, Her main qualification for Trump’s cabinet appears to have been her status as a Republican billionaire-donor. She knows nothing about basic educational policy, the decades-old Individuals with Disabilities Education Act, fraud by for-profit colleges and graduate schools exploiting students, or any other subject about which an aspiring Secretary of Education should have at least some rudimentary knowledge. None of DeVos’ shortcomings kept Trump Party senators from confirming her. With an expertise in lobbying, she pushed Michigan money away from public education and into charter schools that had little or no accountability for their dismal performance. And Michigan now leads all states in the number of charter schools operated for a profit. For law students, DeVos’ actions in Michigan are more than just a troubling analogy. In an earlier post, I wrote about Jerry Falwell Jr., the president of Liberty University, which has a marginal law school. His newest assignment is leading Trump’s task force on deregulating higher education. 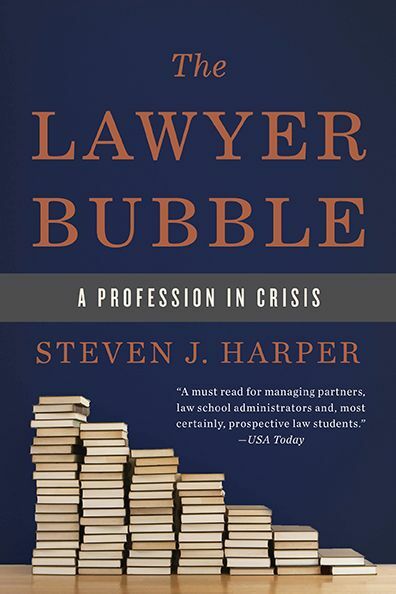 Most law schools — especially those whose graduates have the toughest time finding meaningful JD-required jobs — love the idea of deregulating an already dysfunctional market that props them up. If marginal schools had to operate in a completely competitive market, many would have closed their doors long ago. As they lowered admission standards and admitted students who produced declining bar passage rates, federal student loan dollars have kept them afloat. Trump embraces deregulation as a panacea. But that’s because, as with so many things, he lacks an understanding of how the absence of regulation would make the currently dysfunctional market in legal education even worse. Only federal student loans keep the worst law schools in business. Educational debt is not dischargeable in bankruptcy, and federal guarantees add another layer of protection for schools that don’t deserve it. Meanwhile, schools themselves have no accountability for their students’ poor bar passage rates or dismal employment prospects. The Obama administration had been making life more difficult for schools that exploit students and leave them deeply in debt from which many will never recover. Specifically, schools that grossly underperformed for their students faced the prospect of losing eligibility for the federal student loan program. Charlotte Law School felt that heat directly. — Robert S. Eitel, an attorney, is on unpaid leave of absence from his job as a top lawyer for Bridgepoint Education, Inc., a for-profit college operator whose stock is up 40 percent since November 9. Bridgepoint faces multiple government investigations, including one that ended in a $30 million settlement with the federal Consumer Finance Protection Bureau over deceptive student lending. — Until July 2016, Taylor Hansen was a lobbyist for the Association of Private Sector Colleges and Universities, the largest trade group of for-profit colleges. In June 2016, his mission was to eliminate the government’s “gainful employment” rule, which can cost a school federal funding if too many of its recent graduates fail to repay their student loans. But then Hansen became a DeVos adviser and a member of the Education Department’s “beachhead” team — a group of temporary employees that doesn’t require Senate approval. On March 6, the Department announced a three-month delay in deadlines associated with the gainful employment rule. On March 14, ProPublica reported on Hansen’s unseemly status. On March 20, Sen. Elizabeth Warren sent the ProPublica article with a letter to DeVos asking for an explanation. Hansen resigned the same day. Bottom line: If you’re counting on help in dealing with the worsening student loan crisis, count the Trump administration out.